A hexagonal bodied Rivet Snap with the working end heat-treated to ensure a long life. 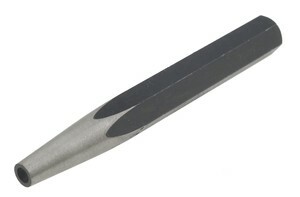 This tool is used for the forming of heads on solid rivets. 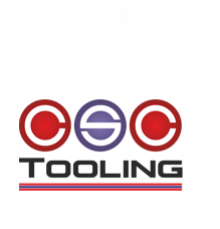 Manufactured from heat-treated tool steel, this dual function tool is used firstly to set the rivet up and then to form the head. Size 2.5 x 115mm (3/32 x 4 3/4 in). Size 3 x 115mm (1/8 x 4 3/4 in). Size 4 x 125mm (5/32 x 5 in). Size 5 x 125mm (3/16 x 5 in).